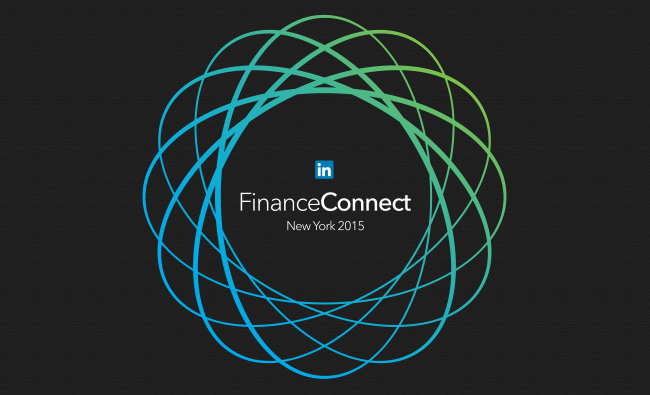 Discover how social selling transforms financial services sales in this roundup of highlights from LinkedIn FinanceConnect 2015. The new era of digital connectivity has disrupted sales and marketing across industries. As people become more connected, more savvy, and more self-sufficient, social selling has emerged as the most effective way to build relationships with the new breed of buyer. On May 6th, LinkedIn hosted a Social Selling Workshop as part of our FinanceConnect 2015 event to help the financial services industry rise to the unique challenges and opportunities the social selling era presents. Read on for highlights and takeaways from the event. Rekhi used these statistics to show how LinkedIn’s social selling program is an easier and more efficient way to do business. LinkedIn’s mission is to make their members more productive and successful, and Rekhi demonstrated how social selling has the power to change the trajectory of salespeople’s careers. Next, Rekhi and Kaplan demonstrated the value of LinkedIn Sales Navigator as a social selling platform. Compared to companies using LinkedIn’s standard service, companies using Sales Navigator experience 7X more pipeline growth, and 11X more revenue growth. Jaymie Brill, Regional Sales Manager of Financial Services for LinkedIn Sales Solutions, hosted a Q&A with Guardian Life Insurance Social Media Manager Nate Isaacson. Isaacson discussed the highlights of his organization’s experience with LinkedIn and Sales Navigator. Guardian Life’s challenge was enabling their non-captive agent advisors to get in front of the right people and build a book of business. After seeing many advisors struggle for a few years and burn out, they were looking for a social selling solution that helps advisors develop and strengthen relationships. First, they implemented a security and compliance platform called Socialware to ensure they could enable their advisors on social channels while keeping an appropriate level of control. Then, they encouraged adoption of LinkedIn as a social selling tool, using it to train advisors on the nuances of social engagement and network building. The advisors who enjoyed success with LinkedIn were chosen to start the rollout of Sales Navigator. At first, some advisors were reluctant to devote their time and resources to learning the platform versus focusing on their day-to-day efforts. But LinkedIn’s Relationship Manager partnered with Guardian Life to implement the program, overseeing a customized training process which helped them realize the value of the social selling methodology. During their 12-week Sales Navigator pilot program, the pilot participants performed 89,000 searches, leading to a 56% growth in connections. Top social sellers outperformed their peers without Sales Navigator by over 25%. All told, the pilot program led to an additional $21 million in Life Insurance policies sold. At the end of the process the cycle starts again, as executives raise awareness of areas for improvement, LinkedIn provides more training, and so on. Canton stressed that it’s a continuing partnership between LinkedIn and the customer to refine the program and keep improving. Financial services sales teams face the same challenges as their colleagues outside of the financial sector. Fortunately, that means they also have the same opportunities. When financial services sales teams adopt a social selling mindset, they’re much better equipped to engage the new digital buyer. To learn more about social selling for Financial Services, register for our live webcast with Socialware on June 2nd.